You just found out you need adental crown. So what happens now? Well, fortunately, a dental crown helps improve your oral health while improving your smile. How so? Dental crowns function like a normal tooth. They look like the exposed portion of the tooth and are made to withstand normal chewing. 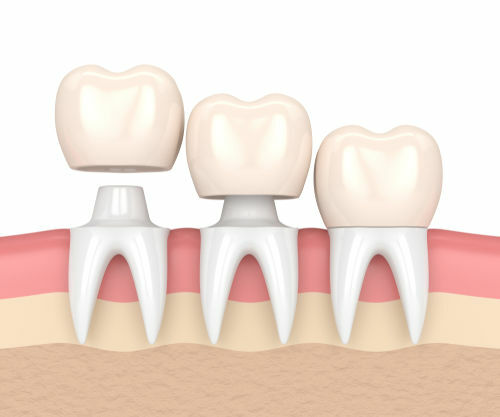 Essentially, they are tooth-like “caps” that are placed over teeth or used in conjunction with dental implants and bridges. Dental crowns are considered when a tooth is weak, damaged, or stained. Getting a dental crown is simple and the benefits are great for your oral health! So, read below to learn more about this amazing dental restorative procedure. Your dental crown will be custom made to fit your mouth and bite. Typically, a mouth impression and X-ray is taken to create the crown. The images and impressions are then sent to a lab that constructs the crown. Dental crowns are offered in different materials. A patient can choose from ceramic, composite-resin, porcelain, and metal. Patients usually choose porcelain and ceramic due to their most natural appearance and durability. However, a consultation will help to narrow your best option. Applying a dental crown is quick and painless. The procedure usually consists of two visits. The first appointment includes a consultation, exam, impressions, X-rays, and tooth contouring. We need to ensure that your tooth is healthy enough to support the crown and that the crown is custom-made for proper fitting. This visit also includes contouring the tooth for the impressions. And of course, the are is numbed for comfort. Contouring means that the tooth is filed down in order to receive the crown. But don’t worry. You’ll get a temporary crown while the custom crown is being made. Your next visit is even smoother. Once your crown is ready, we simply remove the temporary and apply your permanent crown with cement. We’ll examine your bite to assure the crown is fitting properly. And now that your crown is fixed, you’ll be able to enjoy eating normally. Just avoid hard food and candy. It can damage your crown or loosen it. If that happens, see us right away to avoid a tooth infection. Your new dental crown may feel a little odd at first. But in time, it will feel like a normal tooth. Now, the best part of dental crowns is that they last about 15 years or longer. Your new crown will depend on your dental hygiene efforts. So, brush twice a day, floss daily, and visit us routinely. 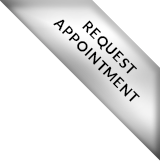 Schedule a dental exam and consultation today! Your oral health is important to us and detecting issues early on helps minimize dental work. Call (781) 894-0347. Our dental office is located at 56 Colpitts Road Suite 4-6 Weston MA 02493 and we proudly serve Wellesley MA as well. Visit us soon.